Confidentiality, professionalism and quality in everything we do. Founded in 2009, our core objective is to provide our valued clients with focused, practical and quality legal services. 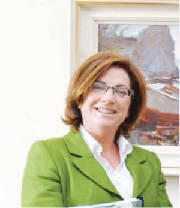 Our practice was founded by Finola Freehill; one of Ireland's leading litigation, family law and divorce solicitors. Our offices are located in Wicklow Town in County Wicklow. Finola Freehill has over 20 years experience delivering a first class service to clients in Limerick and Wicklow and is a seasoned Court lawyer with extensive experience in the District, Circuit, High and Supreme Courts. Our team strives to offer a first class service where we measure our success by the number of long term and satisfied clients. Amber Craughwell, a highly experienced and respected conveyancing solicitor, is leading our property services offerings for residential and commercial clients. We provide highly efficient and focused services to local, national and international clients. One of Amber's specialisms is providing legal support to all parties involved in distressed or bank sales. Mary Gleeson, a highly experienced Legal PA, rounds off our team and will be the first point of contact for our customers. All queries will be promptly and professionally dealt with. Our fee structure is reasonably based and is closely aligned to the complexity of each case. We adopt a "no surprises" approach with our clients to manage expectations throughout our engagement. Please use our contact details to arrange an initial consultation.